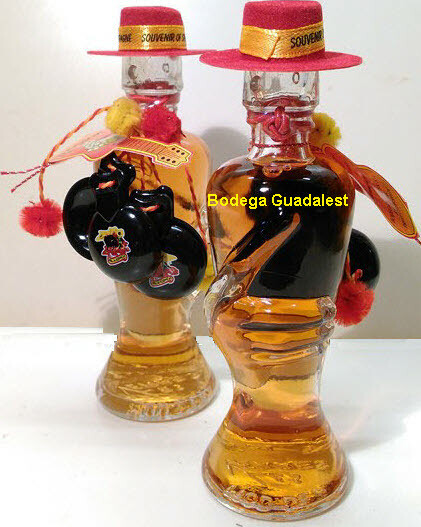 Typical Spanish bottles. 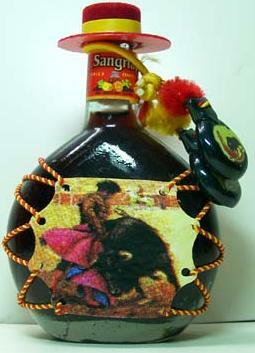 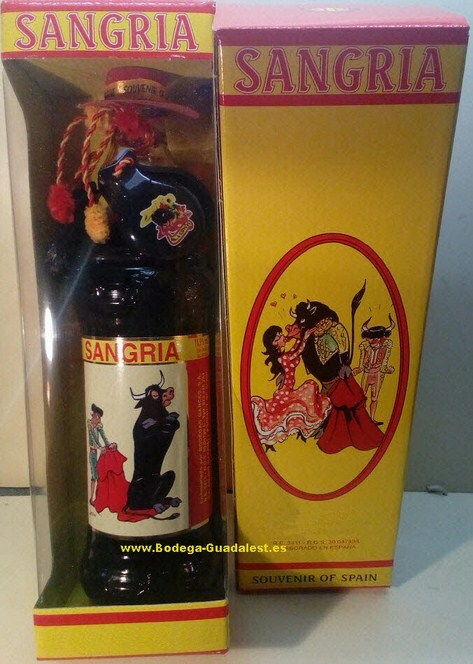 Bottles with flamenco or bullfight motifs. 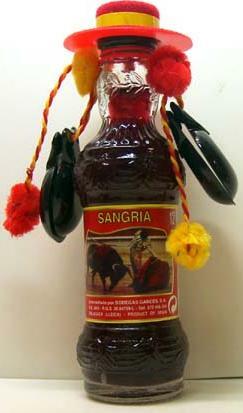 Bottle that is a hand. 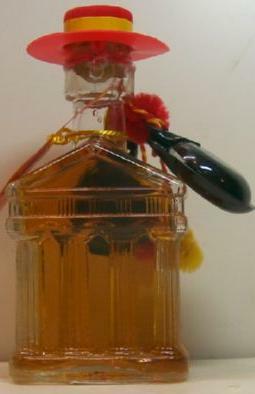 4cl. 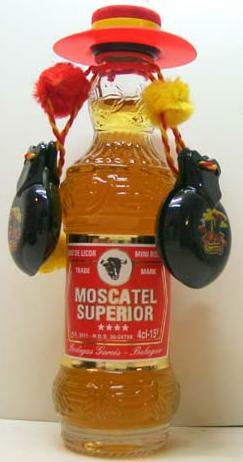 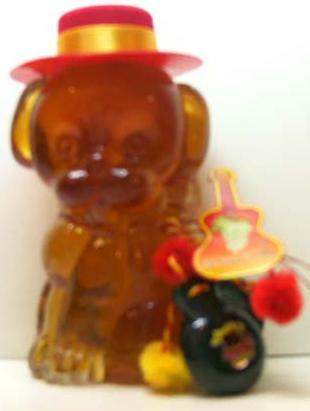 With a hat and castanets. 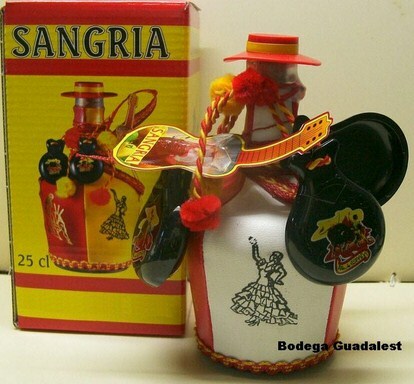 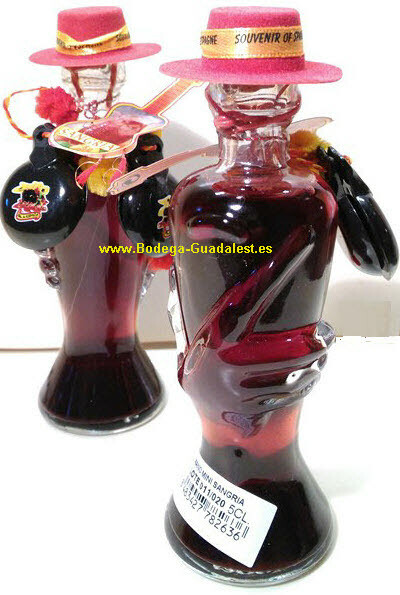 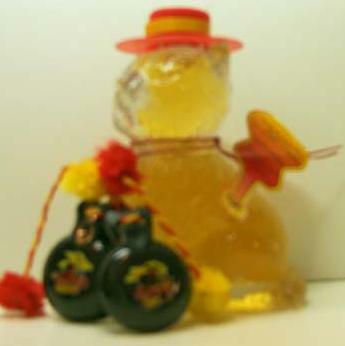 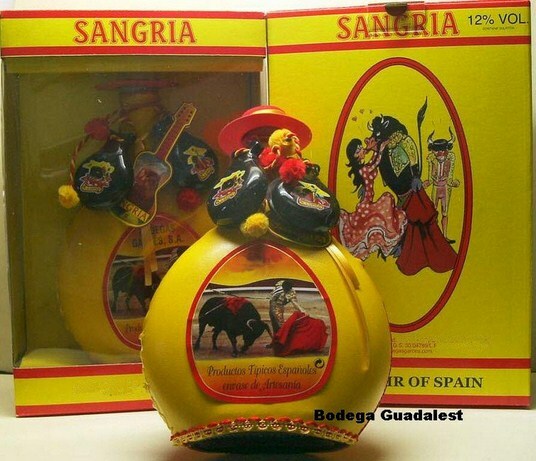 Bottle shaped like a hand, full of sangria, hat and castanets.